Dirty Dangle Hockey: Is There Room In Tampa For Jonathan Drouin? "It’s talked about and then finally the decision is made, what are the 20 guys that we think are going to help us win tonight? Sometimes he’s in that 20. Sometimes he’s not… There is more than one net in a rink. There’s two. So you have to be able to play in front of both of them. As we tell all our guys, it’s professional hockey. You have to be a pro." Tampa Bay has been a gold mine of late with prospects such as Ondrej Palet, Tyler Johnson and Nikita Kucherov becoming stars out of nowhere and pushing highly touted prospect (or Bustville candidate ) Brett Connolly out in a trade to Boston this year. Connolly was a 6th overall pick and was also projected to ride shotgun with Stamkos, but was also put in the doghouse for his defensive play and was moved before his 23rd birthday. 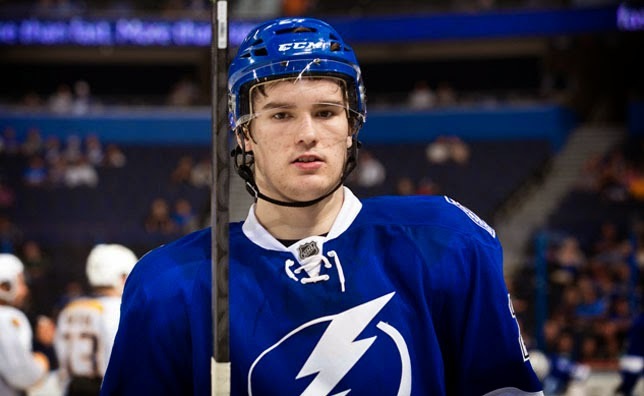 You have to wonder if Drouin goes to bed at night wondering if he is the next Brett Connolly in Tampa Bay or just YouTube's his highlights from junior. 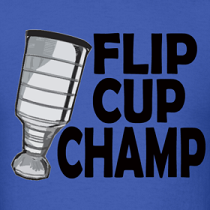 I have to believe there is, after all they got rid of Brett Connolly. I think it will be a matter of attrition and slowly players will leave via free agency or be traded for future picks and assets to make room for talented prospects ready to make the jump. I could see Namestnikov being more on the bubble unless players like Morrow are let go. Stevie Y would be nuts to trade this guy. Jono just needs to gain the trust of Coach Cooper and he will be playing with Stamkos soon enough. I see Drouin sticking around but just taking a bit longer to be a star. I've seen at rating of Essaypro.com that hockey is becoming more popular this days. That means Jonathan has nice prospects in the team.